DBI Software Blog :: DB2 LUW :: The DB2Night Show #213: Db2 LUW Native Encryption - What to Expect! Db2 LUW Native Encryption: What to Expect when you're Expecting to Encrypt! You have to admire Paul Bird's candor. He doesn't sugar coat things (much) and he shoots you straight (that's a Texas expression if you don't reside in Texas- basically it means he's forthright and honest without a lot of fluff). Yes, there is overhead with encryption. Yes, if you lose your keys you're screwed. While there are several operational considerations with Db2 Native Encryption, listen carefully to Paul and he'll help you mitigate risks, reduce the overhead, and set you on a path for encryption success. DBI is now offering "On-Demand" Demos of its DBI pureFeat™ Performance Management Suite for IBM Db2 LUW. We invite you to WATCH A DEMO and receive a $15 Amazon Gift Card as our thanks for your interest. 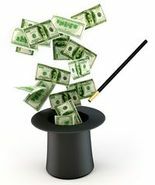 Working with DBI is like making money magically appear! Typical customers enjoy 40-60% CPU utilization reductions in the first week, plus measurably faster transaction and query response times. More importantly, your time savings will be substantial! Read our newest SUCCESS STORY with HealthPlan Services, do your due diligence, and speak with as many references as you have time to call. Please TAKE THE SURVEY now. According to Survey Monkey, the average participant is finished in 6 to 9 minutes. HURRY! The study survey closes 1 April 2019. 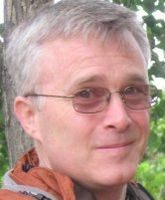 To download a recorded replay of Episode #213 in WMV format, right click on the link below and choose "Save As..."
We can't always do this, but you can GET A PDF of Paul's terrific presentation. Share a great show with your friends and followers!